The fort Harihar, lies in Trimbak range north of Igatpuri and is built on a triangular rock. Harihar fort has significant importance in earlier periods. Harihar fort used to be a route crossing this range connecting Maharashtra to Gujarat. It has a steep climb. Harihar Fort, is modern easy name based on original name Harshgad. Harihar fort is well famous cliff for chimney style climbing and name given as Scottish fall by adventure lovers. 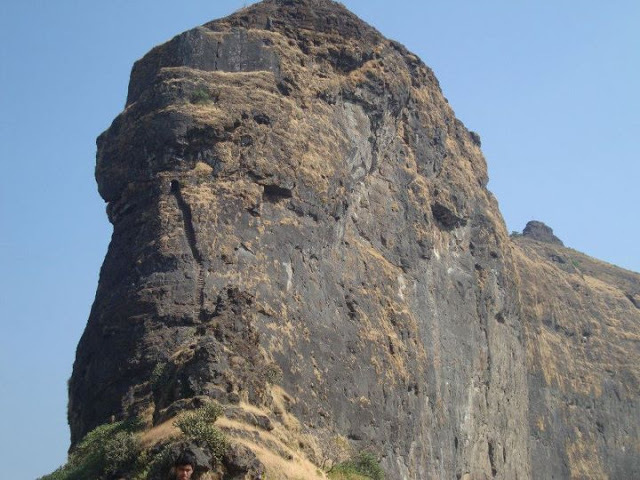 Departure Date & Time for Harihar Fort: 10 Nov. by 11.30 pm Sharp, SP College, Tilak Road. Arrival Date & Time for Harihar Fort: 11 Nov. by 10.30 pm, SP College, Tilak Road. Walking Time (estimated) for Harihar Fort: 2.5 hours to reach the Top from Base Village & 2 Hours to get down. Come to S P College Tilak Road, Give attendance to Team Explorers.